Why is Aadhaar being shoved down our throats? At Tembhli village in Nandurbar district, a day before the launch of the UID in 2010.The village received the first numbers under the project. Electoral logic is driving the UPA towards a patent illegality: forcing people to part with sensitive private information such as biometric data or finger-prints without having any law to protect privacy in place. As things stand, getting yourself an Aadhaar card issued by the Unique Identification Authority of India (UIDAI) is voluntary; you are not legally bound to part with this information to anyone, leave alone the UIDAI. A report in The Times of India today also flags off privacy concerns and emphasises that citizens are essentially being “coerced” to get themselves an Aadhaar number. At last count, nearly 320 million Indian residents have been enrolled under Aadhaar – and all of it despite a warning from the Parliamentary Standing Committee on Finance which wanted the scheme shut down. Driven by its own electoral compulsions, the Centre is pushing states to make Aadhaar the norm for every kind of entitlement so that it can proceed with its direct cash transfers (DCT) scheme before the next elections. Aadhaar is supposed to provide foolproof identification of subsidy beneficiaries and weed out duplications and bogus entries. The UPA thinks DCT is a vote-winner and a game-changer. This is why late last year the Congress announced that scheme would cover the whole country by the end of 2013 after starting out with only a few schemes in 51 districts. To convert Aadhaar into a voter ATM scheme, you need to roll it out really fast, since elections could happen either later this year or in April-May next year. To make sure that cash is given out to people using Aadhaar, you need bank accounts to be linked to this ID number, and also marry it with data from the ministries advocating these schemes. Finance Minister P Chidambaram has already announced that cooking gas (LPG) subsidy is next on the list for coverage under Aadhaar and direct cash transfers, but the linkage to bank accounts is taking time. Banks, in fact, are not chary of depending too much on Aadhaar, and The Economic Times today reports that if money is transferred on the basis of this identification, anything going wrong should be the UIDAI’s responsibility. Cooking gas subsidy is a big ticket DCT initiative because of the amounts involved: subsidies amount to Rs 430-440 per cylinder at current international crude prices. Since each family is entitled to nine subsidised cylinders a year, a shift to DCT would mean putting nearly Rs 4,000 into the bank accounts of beneficiaries annually. 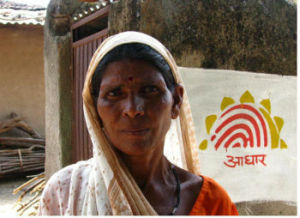 While the political advantages of giving money to voters in the name of economic efficiency is understandable, the UPA has completely lost sight of one simple thing: there is currently no legislation in place to make the Aadhaar scheme’s collection of private biometric data legal; even though the scheme is being promoted through administrative fiat, the fact that so much personal data will be obtained using private agents is giving privacy advocates sleepless nights. In fact, there is a good reason to stop Aadhaar in its tracks—it is already supposed to have covered 320 million residents—before the project is put on a legal footing. Reason: there is simply no protection if your biometric data falls in the wrong hands and your ID has been commandeered by someone else. The point is this: isn’t it downright irresponsible for the UPA government to ask citizens to share vital personal information when there is such little political support for it and when there is no guarantee of how the information will be protected?